The following is from http://www.mexperience.com/living/immigration-mexico.php Go to this webpage for current data and links. Mexico has a comprehensive legal and statutory Immigration Policy affecting Mexicans and foreign nationals. This guide gives an overview of the Mexican immigration system and outlines the principal visas and options open to persons seeking to visit Mexico for leisure, business, for retirement, for living and working, as well as those seeking permanent residence in Mexico or Mexican Citizenship. The Mexican government announced a root-and-branch review of its immigration law in May 2011. Changes came into force in November 2012. This guide has been updated to reflect the new immigration laws, visa types and application procedures. You can also download the detailed eBook 2014 Guide to Mexico Immigration. What is Mexico's Immigration Policy? Mexico's General Law of Population sets out the rights and obligations of foreigners, as well as the different statuses associated with foreign immigration. · Immigrant Permits are for people who wish to gain long term permanent residence in Mexico. You may apply for your visa(s) in person, or you may hire a representative to advise you, make the application on your behalf and do all of the paperwork. See Immigration Lawyers for more details. What are the Non-Immigrant Visas? There are various classifications of Non-Immigrant visitors to Mexico - the main ones are listed below. Download the Mexico Immigration Guide eBook. This guide is an exhaustive compilation of everything you need to know about Mexican visas, immigration and citizenship. The 'Visitante' permit is intended for visitors, usually tourists and business visitors, to Mexico on short term (six months or less) visits. For trips of longer than six months, a non-immigrant or immigrant visa should be considered—see the sections below for details. Visitor's permits are issued when you arrive in Mexico (by air, or travel inland by road beyond the 'free border zone') by completing a Forma Migratoria Multiple (FMM) - these forms are issued by airlines and are also available at ports of entry. The visitor permit is valid for up to 180 days and cannot be renewed. Upon its expiry you will need to leave the country*. There is a fee of about US$20 for this permit, which is usually included in the price if your flight (under taxes and fees). If you arrive by road or ship, and travel beyond the border zone, you will have to pay for this permit separately. Mexico operates what is known as a Temporary Resident Visa, intended for people who wish to live in Mexico for more than 6 months and not longer than 4 years. The Temporary Resident Visa is a renewable long term (more than six months) permit which gives non-immigrant temporary residency status to the holder. The visa can be issued for 1, 2, 3 or 4 years (max), can give work permissions, allows unlimited entries to and exits from Mexico. This means that it gives a person the right to live in Mexico for up to 4 years under terms as set out in the visa. There are various categories under which Resident Visa visas are granted, and these relate to the activities you intend to undertake while in Mexico. Under the terms of the Temporary Resident Visa, you are authorized to only undertake certain, specific activities which may be lucrative or non-lucrative, depending on the visa's classification. One of the criteria that the Mexican authorities require for the issuance of a Temporary Resident Visa is that the applicant prove that they have 'sufficient funds to sustain themselves while in Mexico' and/or a proven steady income. The financial requirements have been tightened-up following the introduction of the new immigration law that was enacted in 2012. The Temporary Resident Visa cannot be issued in Mexico, unless you are exchanging an existing FM3 visa. This is a change to the old regime, where Visitor Visas could previously be exchanged for Resident Visas if the person(s) fulfilled the criteria. There are only two exceptions to this if you are currently hold a Visitor's Visa and want a residency visa: 1) if you have close family in Mexico (parents, spouse, children) or, 2) if you apply for residency on humanitarian grounds, then you are able to change your status from visitor to resident. The Temporary Visa itself is not issued by foreign consulates. Instead, they process and pre-approve the application and when you arrive in Mexico you have to register at your local immigration office and acquire the Visa (a plastic card) in Mexico. Once applied for and granted, the Temporary Resident Visa may issued for up to 4 years (or yearly, with annual renewals required in Mexico) and after this four year period, it cannot be renewed: at the end of the four year period you must apply for a Permanent Resident Visa or leave the country. For detailed information about Resident Visas, contact an immigration lawyer or download the eBook Mexico Immigration Guide. *To holders of passports from specific countries only. See Mexico Entry Requirements for details. Permanent Resident Visas are issued to foreign nationals who have the intention of living in Mexico for long periods of time (over six months) AND who intend to seek permanent residency in Mexico. The Permanent Resident Visa is intended for people seeking permanent residency status in Mexico or those who may seek eventual Mexican Citizenship. · be granted residency on humanitarian grounds. Upon receiving immigrated status, you will receive a plastic card that looks like a driver's license. This card enables you to pass through Mexico's borders as if you were a Mexican national. *Details of the points system have yet to be announced by the government (March 2013). If you want to engage in "non-remunerative activities" and you are receiving funds from abroad (from a pension or other investments or fixed income) you can apply for a Permanent Resident Visa. 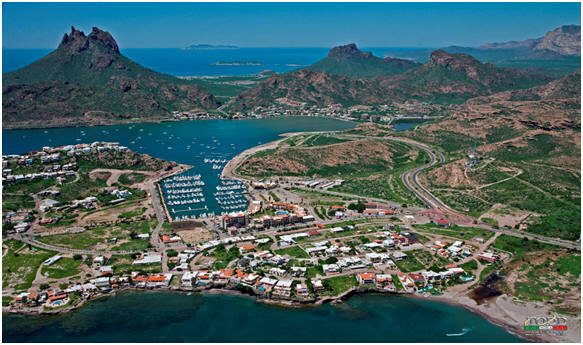 Read more about Retirement in Mexico on Mexperience. You can receive an immigration permit if you are willing to invest your capital in Mexico. You investment can be directed at industry or services, and must equal a minimum set amount—check separately for the latest investment levels required for this visa. If you are a qualified professional, you can have your certificates validated by the Mexican Consulate in your home country and apply for an immigration visa to live in Mexico and seek permanent residence. You will need to meet the minimum Point Score requirements to be accepted. If you are a qualified technician or scientist, Mexico offers a category of visa which enables you to live and work in Mexico under sponsorship from a foreign company. For example, if the company wants to open an office or factory in Mexico, a person or persons representing that company may enter Mexico to manage the commercial operations on a long term basis. You will need to meet the minimum Point Score requirements to be accepted. Artists or sports people who seek long term permanent residency in Mexico may apply for a this visa. Each case is considered individually and entry is at the Interior Ministry's discretion. 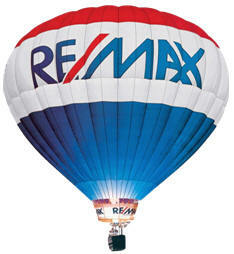 Copyright © 2010 Re/Max First Choice Realty. All Rights Reserved.